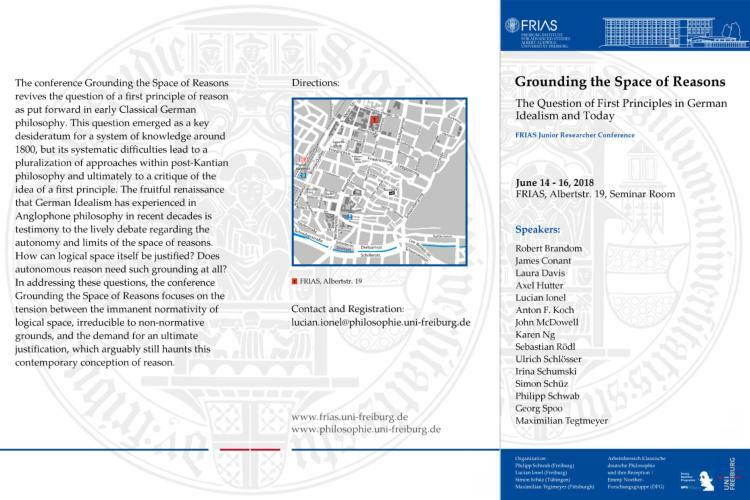 We are pleased to announce that the FRIAS Junior Researcher International Conference “Grounding the Space of Reasons: The Question of First Principles in German Idealism and Today” will take place at the Albert-Ludwigs-Universität Freiburg from June 14th to June 16th. The conference is organised by JProf. Dr. Philipp Schwab (Universität Freiburg, Lucian Ionel (Universität Freiburg, Simon Schüz (Universität Tübingen, and Maximilian Tegtmeyer (University of Pittsburgh). 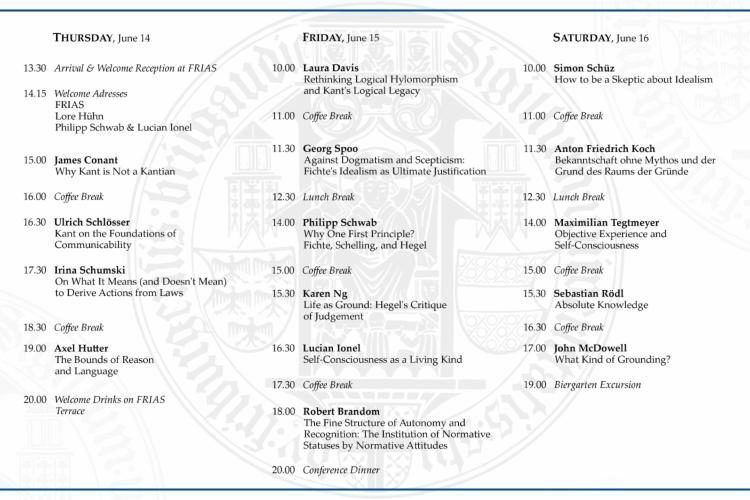 Here below you can find the flyer, with a description of the aims and the main questions tackled by conference together with the complete program. You can download the flyer also at this link.